Bistro@202Station is a casual venue at The Box Hill Golf Club which is open to the public and is in a lovely setting overlooking the golf course. 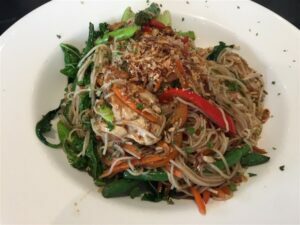 There are many gluten free options on the menu and a lot of care is taken regarding cross contamination (including separate fryers) – just make sure you specify gluten free when you order at the counter. I have really enjoyed all the meals I have had at the bistro and the prices are reasonable. You can join the club for $2 to get club prices, which are usually $2-3 cheaper. They also run ongoing specials, such as Wednesday steak night and and lunch specials. The menu is available online (see link at end of post). 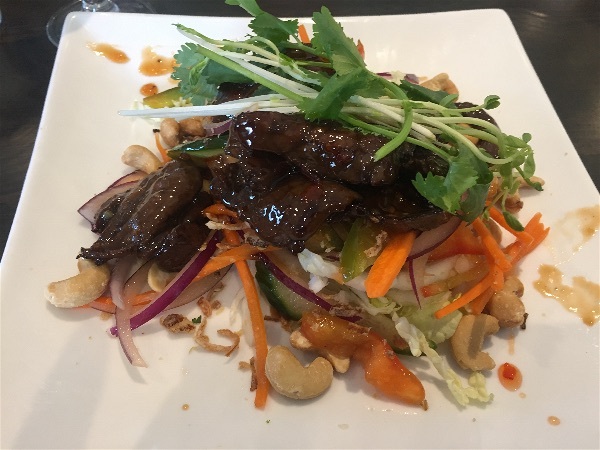 I regularly meet a group of other coeliacs there for lunch and my favourite meal is the stir fry beef salad. 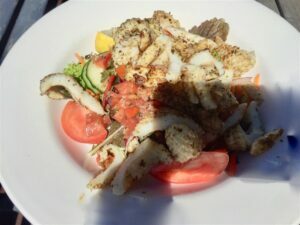 If you like calamari, the calamari salad is also highly recommended (apologies for the shadow on photo). 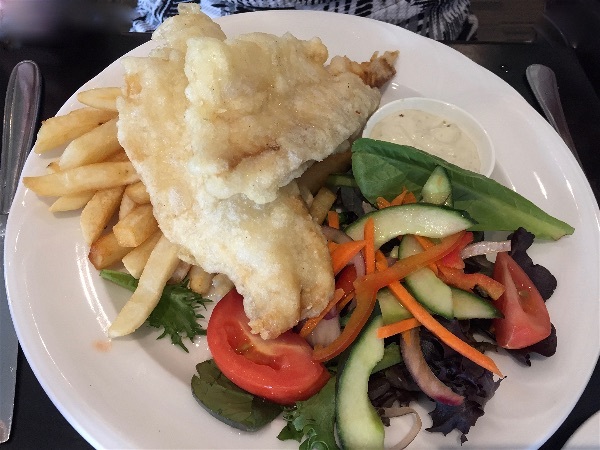 Fish and chips is also on the menu! I recently had the vegetable stir fry with added chicken and it was nutritious as well delicious. 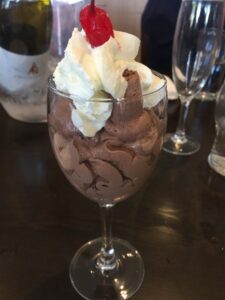 There are three desserts which as all gluten free: chocolate mousse, creme brulée and pavlova. 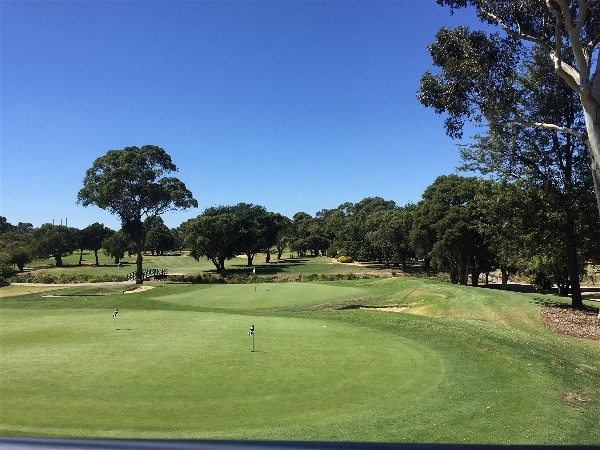 The bistro has windows facing the golf course and there are a number of tables outside which are fabulous if it is a sunny day. The outside area is dog friendly. As with many clubs, there is a pokies room just off the bistro. The bistro is well worth a try for gluten free in Box Hill. I haven’t yet had a meal in the dining room, but that menu is entirely gluten free.